Several franchises are marching towards their release dates. 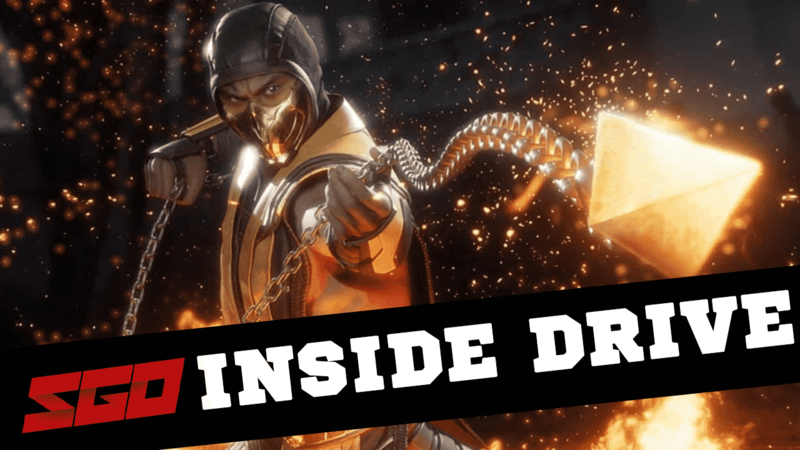 In the our latest SGO Inside Drive, we cover news from Ubisoft’s The Division 2, Mortal Kombat 11 featuring Ronda Rousey and more. Keep reading below to find out what’s happening around gaming as we get set to close out January. Mortal Kombat 11 had a reveal trailer not too long ago. Since then, bits of information and character reveals have been surfacing. One of the most recent trailers reveal current WWE RAW Women’s Champion, Ronda Rousey, to be starring as none other than Sonya Blade. You can catch the reveal trailer featuring Sonya Blade above. Mortal Kombat 11 looks to be one of the bloodiest installments of the series to date. In additional, it features a robust set of new custom designs and as always some very interesting opening battle dialogue along with much, much more. Those who pre-order will receive Shao Kahn as a playable character. The game is set to launch April 23, 2019. With The Division 2 set to release later this year, Ubisoft announced an open and closed beta. By pre-ordering the game, you can guarantee accessed to the closed beta as a bonus. For those who reserve the decision for a full purchase, you can sign up for a chance invitation to participate in the open beta. Ubisoft has stressed that no guarantees are given for the open beta participation for those who merely sign up. You can sign up for the open beta accessing The Division 2’s dedicated page. Those who pre-order can take to the streets in the private beta February 7 – 10. Both versions will be available on Xbox One, PlayStation 4, and PC through the Epic Games store. The Division 2 is scheduled to release March 15. For those playing on PC, you can check out the requirements below. Ahead of the scheduled February reveal, Sony extended the free weekend for those taking advantage of The Firewall Zero Hour: Weekend Trial Demo. The extension ran up to last night, Monday 1/21 allowing players to participate in all game modes of the full game. This included Single Player Training – Player vs. AI, Multiplayer Training – Co-op vs AI, and Multiplayer Contracts – PVP Players vs Players. As an added bonus, the entire roster of maps in the game including the newly added map, Containment, were available. While this may be old news, the PlayStation Plus subscriptions discounts are still ongoing and will run through January 24. Previous subscription owners are seeing a special discount on 3-month subscriptions with a 25% discount on the 12-month. If you haven’t already, check them out now before time runs out. Game Freak, developers of iconic handle held Pokemon games, is planning to release a previously PC exclusive title on current generation consoles. 2D action adventure, Giga Wrecker, will now allow players to manipulate their surroundings and explore a world invaded by an army of evil robots. The original title will be getting a small face lift from Rising Star Games and releasing the upgraded version for consoles as Giga Wrecker Alt. Giga Wrecker Alt will feature 20 additional campaign puzzle stages, a new companion character to assist players, and an “Ironman” mode with 5 times the damage than the regular mode. The game will also get an upgrade to localization bringing 11 in-game languages, including Italian and Traditional Chinese to the fold. You can check out more on Giga Wrecker Alt including the new soundtrack here. Last on our list is the final stages of DLC being released for WWE 2K19. Arguably the best WWE 2K game to date, the ‘Rising Stars Pack’ pack is now available for WWE 2K19. The pack includes new moves, new entrances, new taunts, and, of course, new superstars. In the pack, you’ll receive Ricochet, Candace LaRae, Dakota Kai, Lacey Evans, Mike and Maria Kanellis, and Lio Rush. The pack is free for season pass holders; otherwise, you can grab it for $9.99.